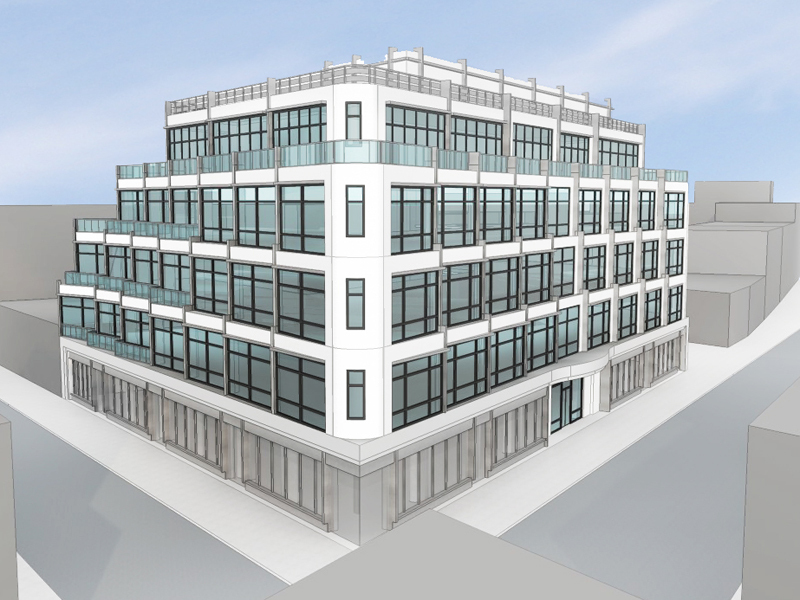 A design for a new mixed-use building located in the south Bronx. Ground floor retail supports four floors of loft styled residential above. Large windows are arranged along a faceted facade which gives textured curve and allows for progressing terraces along the side.